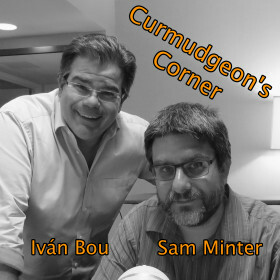 On this week’s Curmudgeon’s Corner, Sam and Ivan talk about the politics of the short government shutdown and what that means to the continuing immigration debate, then they move on to reviewing many of the latest developments related to the various scandals surrounding the Trump White House. Along the way, Ivan also reports on his recent trip to Thailand. Should the Dems have forced this? Should the Dems have agreed to end shutdown? Russia to NRA to Trump? 02:27:13 The longest shutdown ever (the second one under Clinton) was 21 days. Donald likes having the biggest everything, so maybe we can beat that! 16:31:32 Congratulations on 1000 followers @idudeness! 03:58:08 Retweeted @frankthorp 03:55:15 McConnell and Schumer just walked off the floor together. 04:05:17 56 minutes left. Vote still open. Senators trying to make last minute deal. Drama! 11:20:11 I see the Orange One has awoken. Hopefully the tweets will at least be entertaining.